Getting a stomach bug is bad enough. 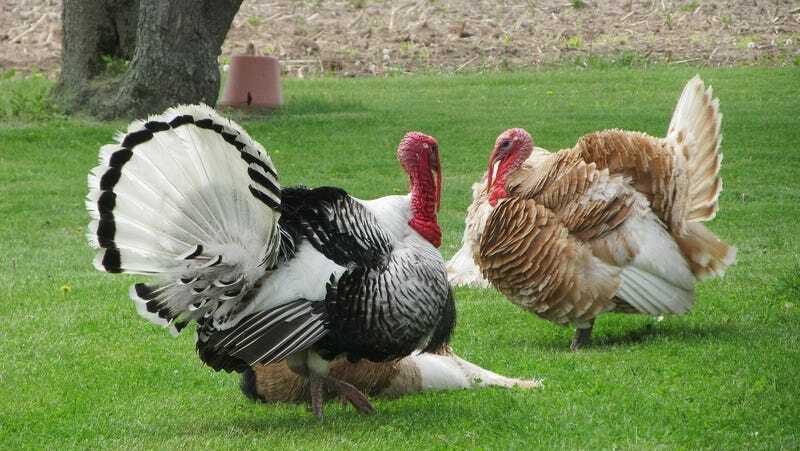 But a new outbreak of salmonella bacteria spread by raw turkey that has sickened nearly 100 people across several states has an troubling wrinkle to it: The germ at fault is likely also resistant to multiple antibiotics. On Thursday, the Centers for Disease Control and Prevention (CDC) reported that between November and July 11, at least 90 people from 26 states have been infected with the same strain of Salmonella Reading. Forty were hospitalized, though none have died. Many of the people interviewed by the CDC reported they had eaten or exposed themselves to turkey products just before becoming sick. In two cases, the victims said they lived in a household where their pets ate raw turkey pet food. Most people who catch a nasty strain of Salmonella become sick within 12 to 72 hours of being exposed to it. They experience anywhere from four to seven days of gastrointestinal hell, developing diarrhea, fever, and stomach cramps. Though it usually doesn’t require urgent treatment like antibiotics, it can rarely become life-threatening if the germ finds its way into the bloodstream and reaches other parts of the body. The outbreak is possibly also a sign that U.S. farmers are still routinely using antibiotics on livestock, despite a federal mandate that went into effect in 2017 trying to at least slow down the practice. On January 1 of last year, the Food and Drug Administration issued new rules that barred the use of antibiotics in livestock as growth promoters. But the rules still allowed farmers to use some antibiotics as a preventative treatment, so long as their use was approved by a veterinarian. A third of the antibiotics included on that list have no limits on how long they could be used, which prompted critics to worry that companies could exploit the loophole to maintain business as usual. There’s some evidence the rules led to real changes. A 2017 FDA report found that U.S. sales of animal antibiotics dropped 10 percent in 2016, when the rules were going through their final tweaks. It was the first drop seen since the FDA started collecting data on sales in 2009.